This old-school style metal tote is perfect for rebels escaping the country or just your lunch! 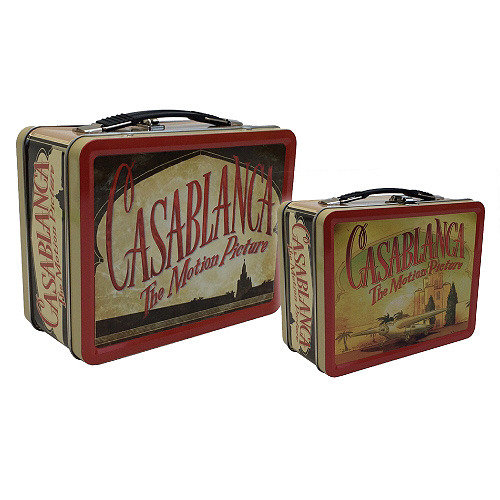 The Casablanca Tin Tote Lunch Box is made from metal and features different artwork on each side. Measures approximately 8 3/4-inches long x 6 3/4-inches tall x 4-inches wide.